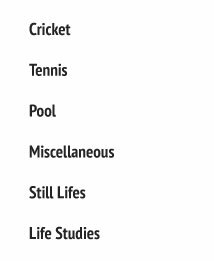 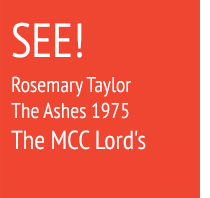 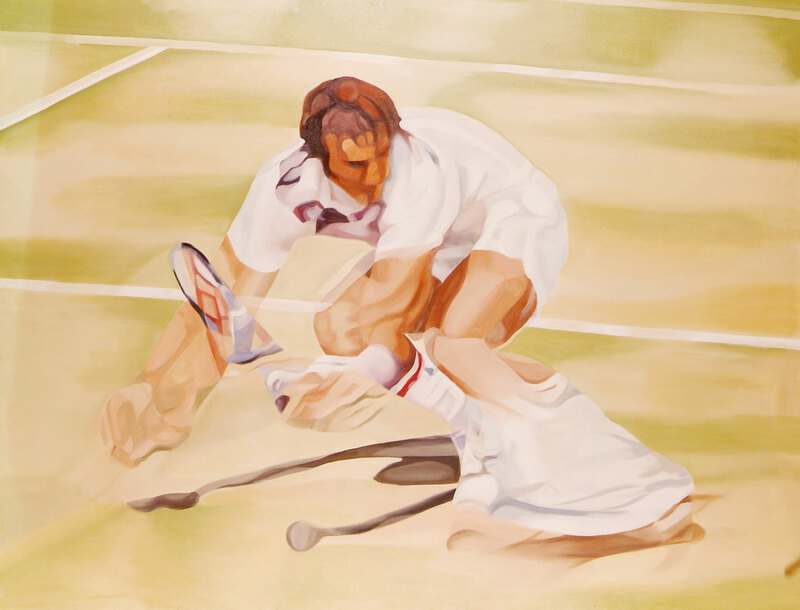 During the late 1970s Rosemary turned her attention to the movement of world-class tennis players – a logical progression. 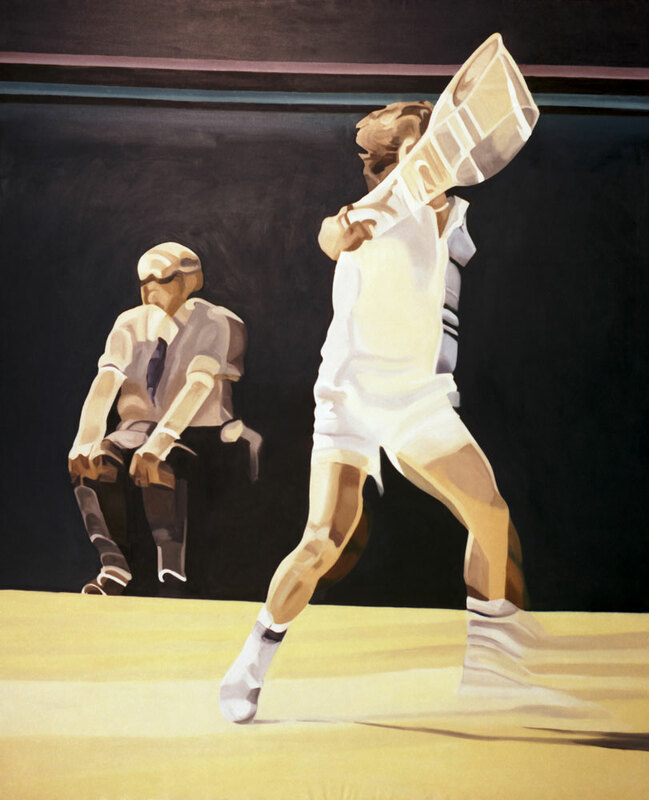 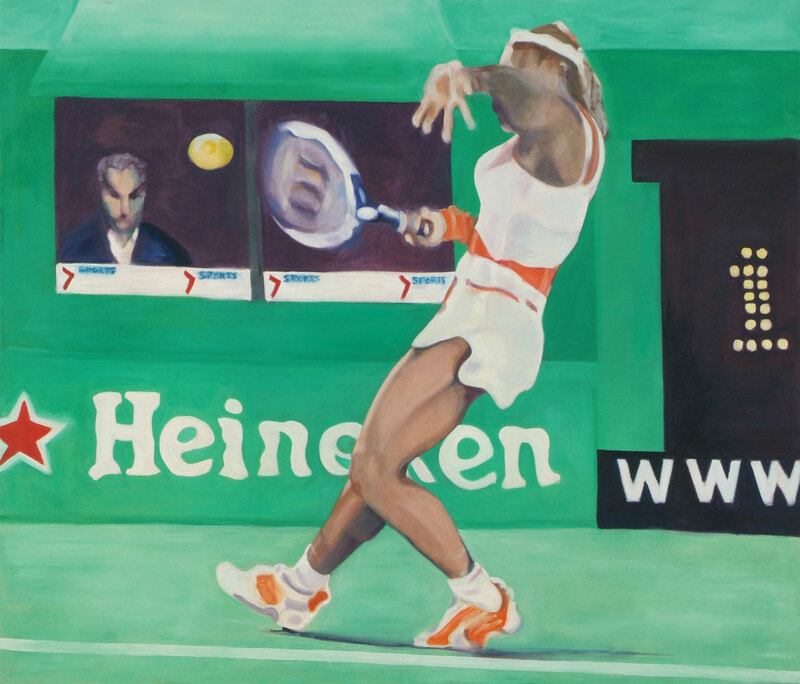 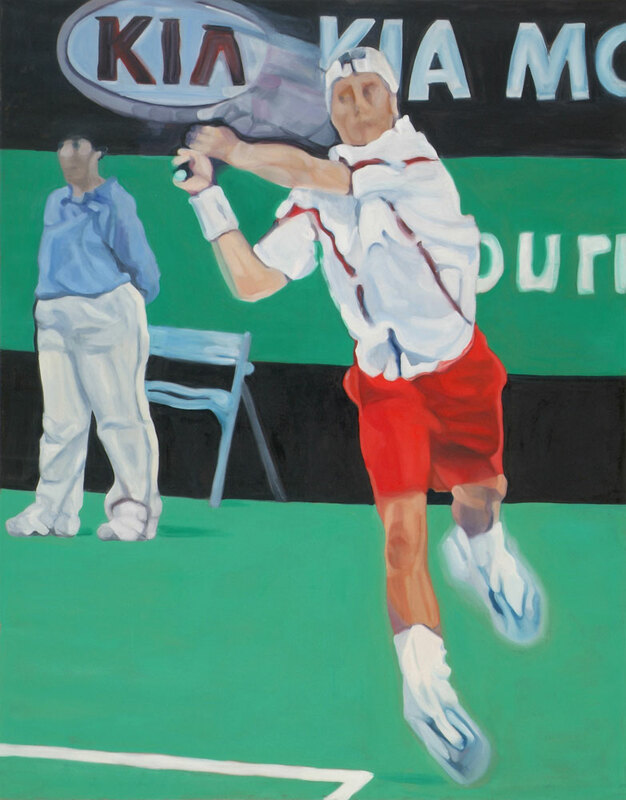 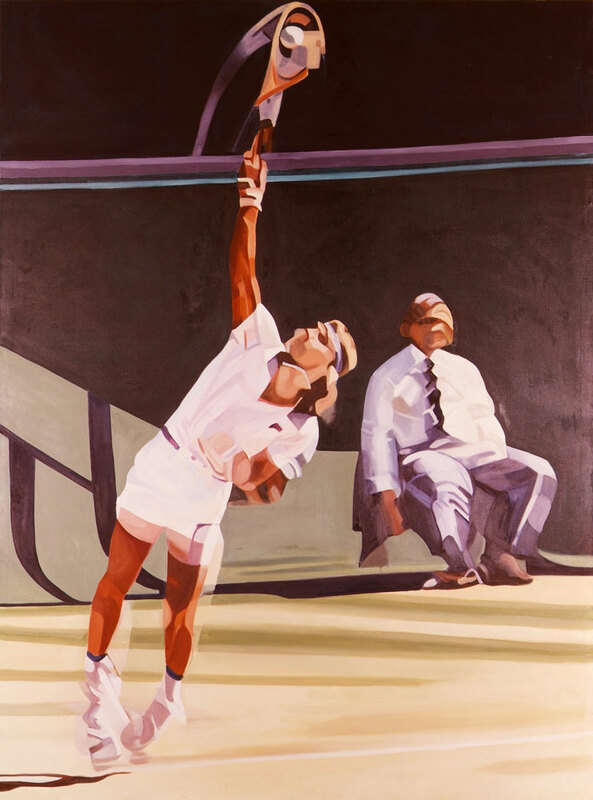 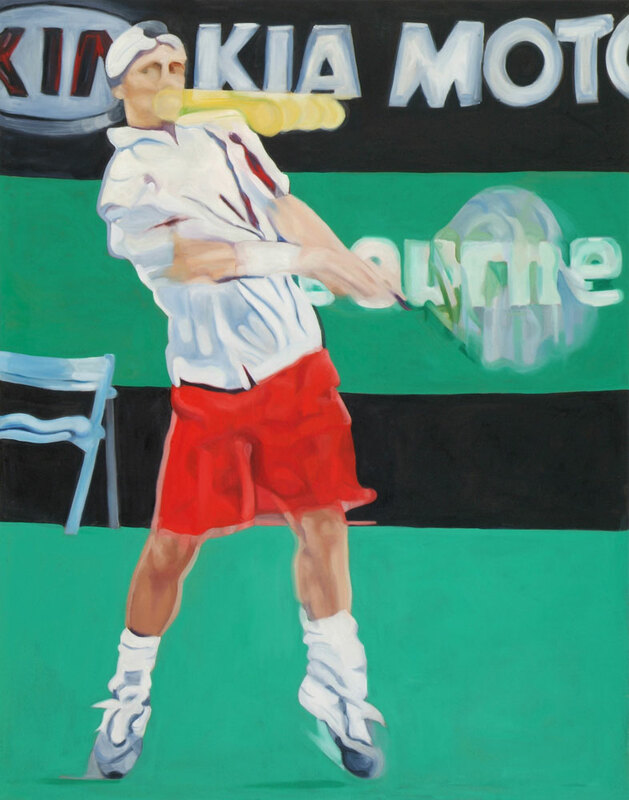 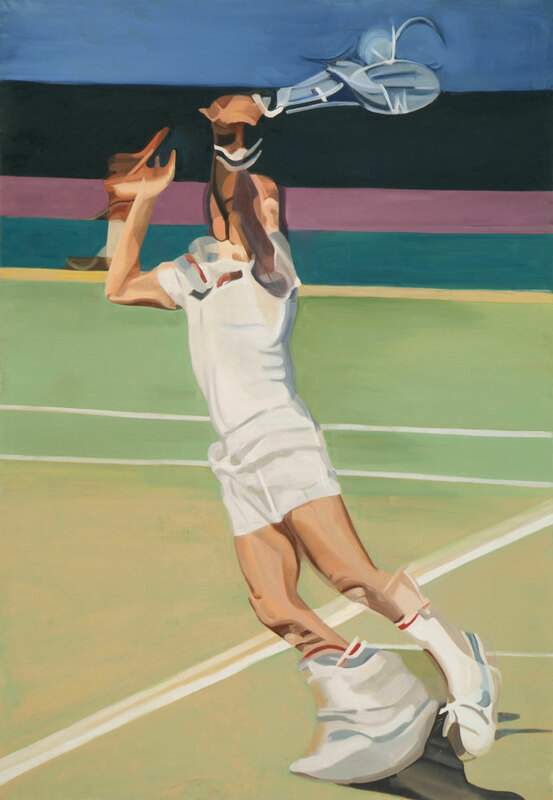 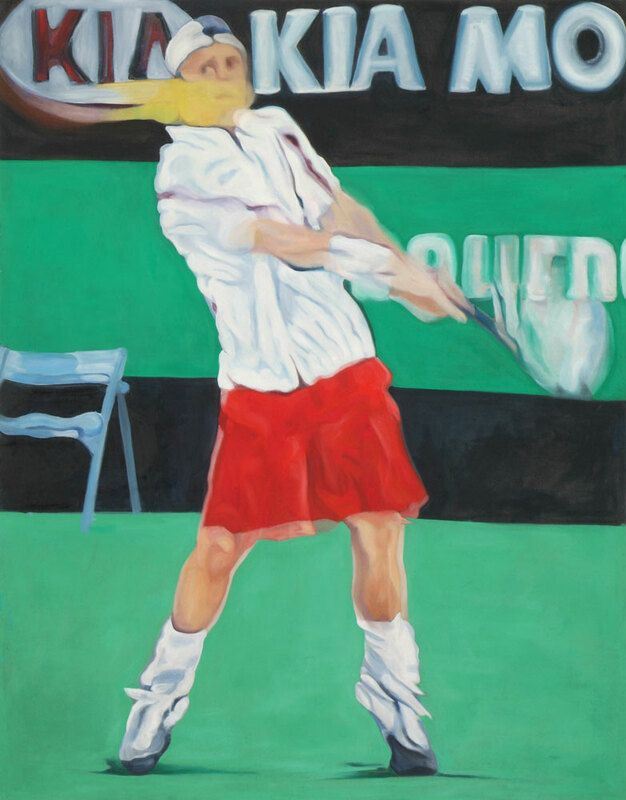 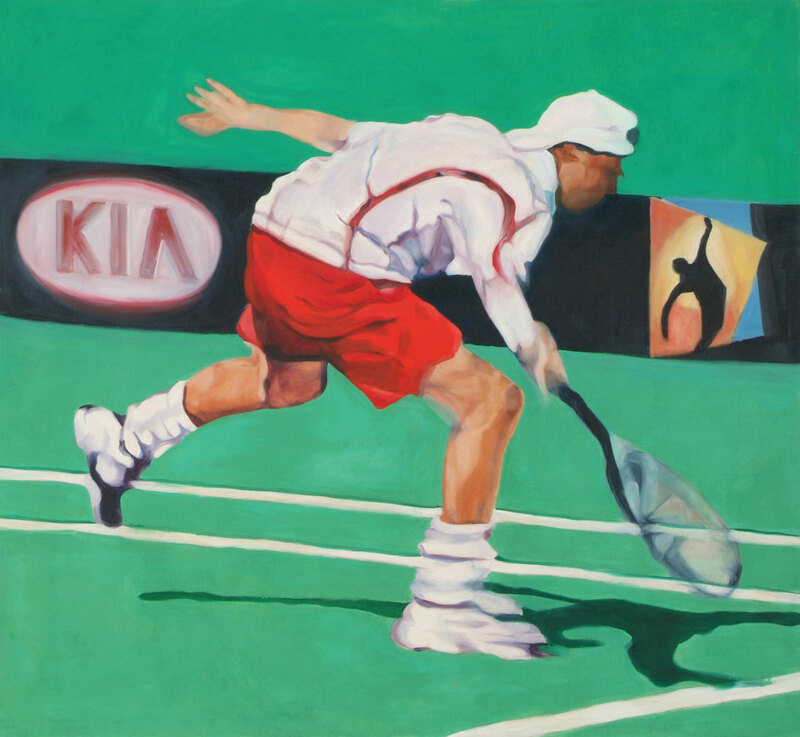 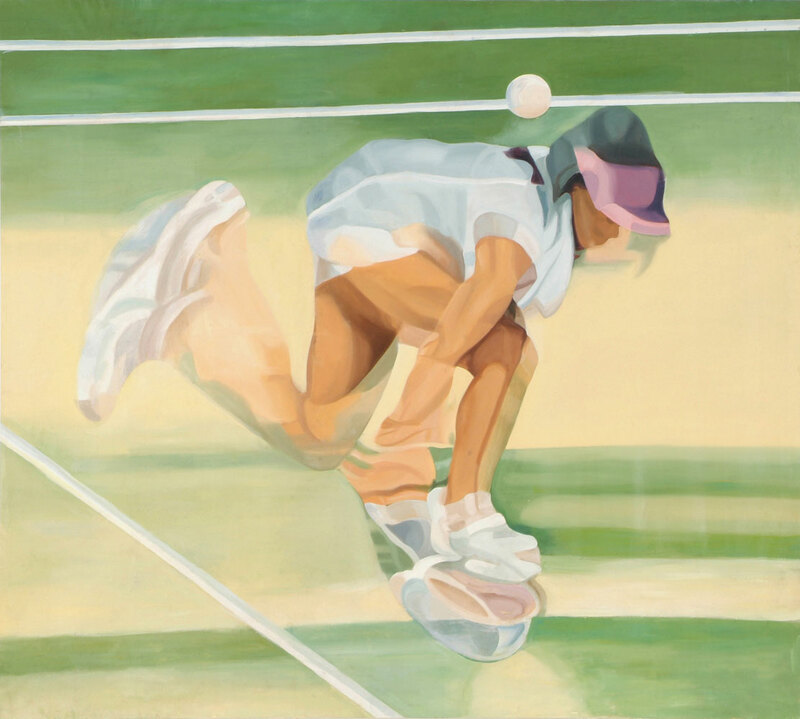 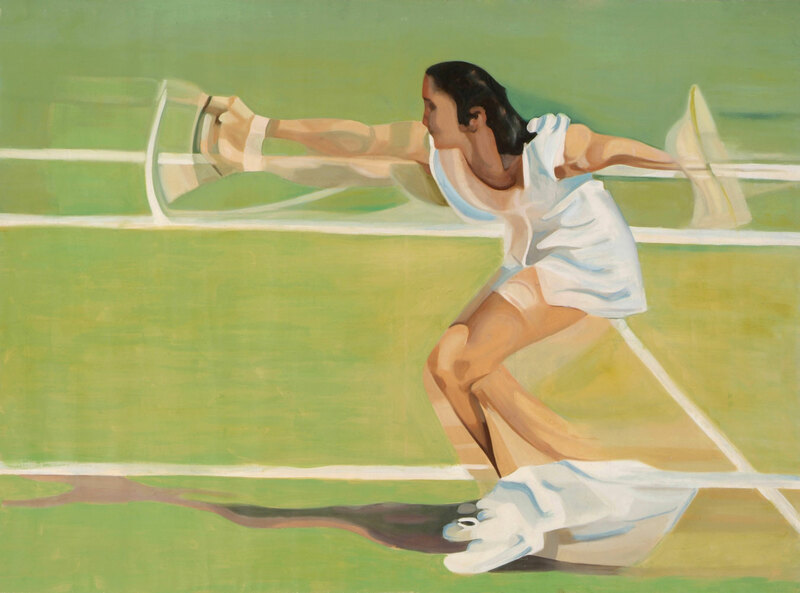 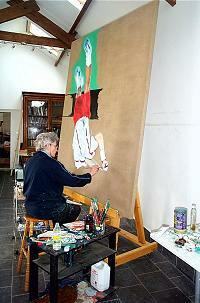 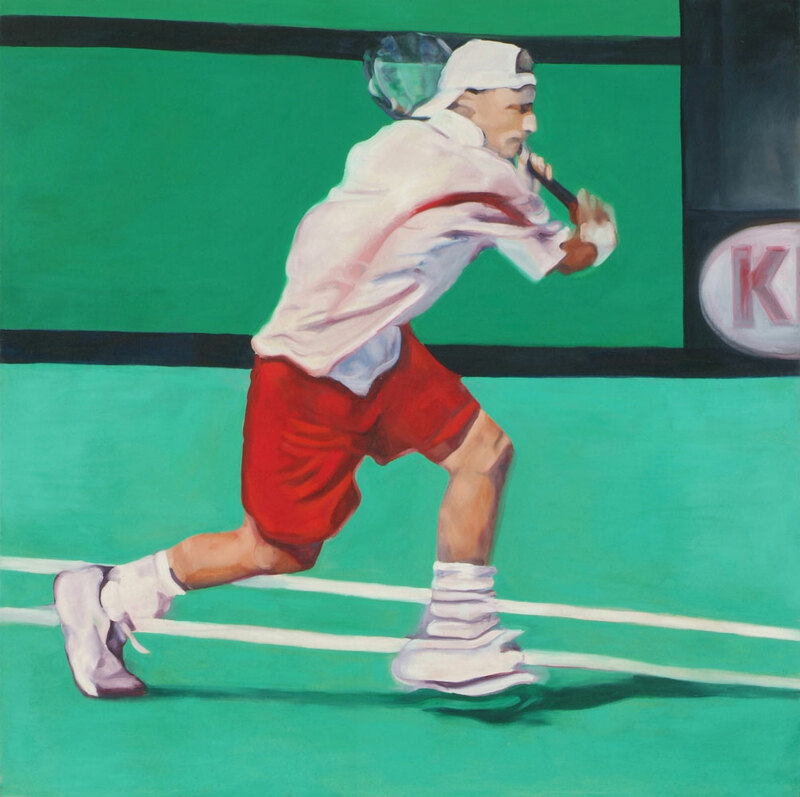 Visits to Wimbledon with her sketchbook and camera inspired her to capture on canvas the extraordinary movement and balance of such tennis legends as Bjorn Borg, Jimmy Connors, Ilie Nastase and Virginia Wade. 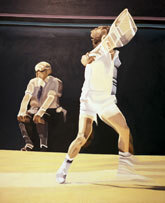 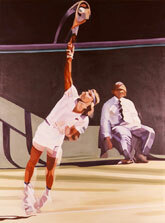 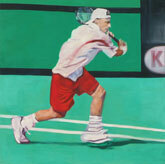 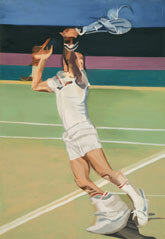 This collection of 15 tennis paintings at 6’ x 5’ are vast - even larger than the cricket ones. 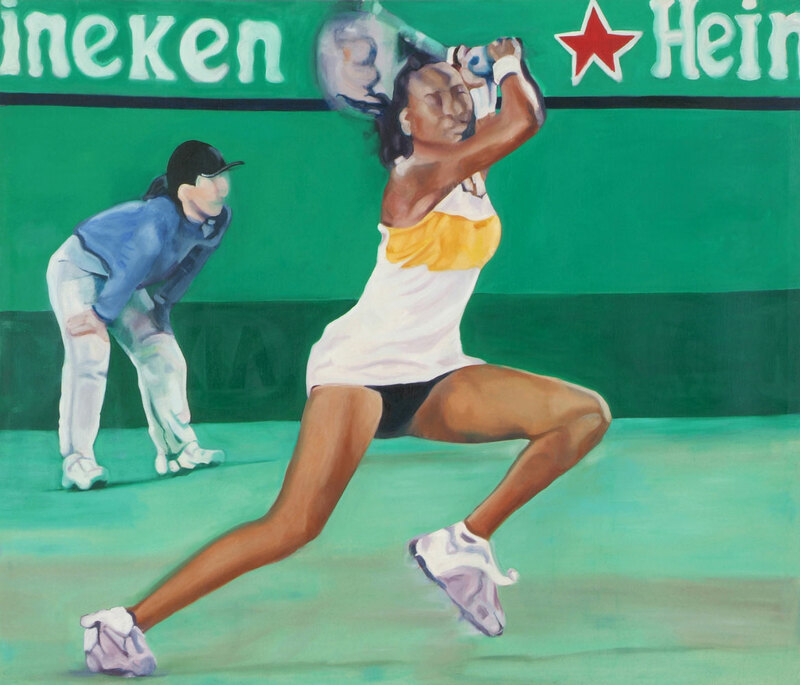 Undaunted by the fact that she could not travel to Australia for the Open tennis tournament in 2004, Rosemary set up her camera and tripod in front of the TV screen in West Cork to capture the Williams sisters in the 2003 play off, and Hewitt in 2004. 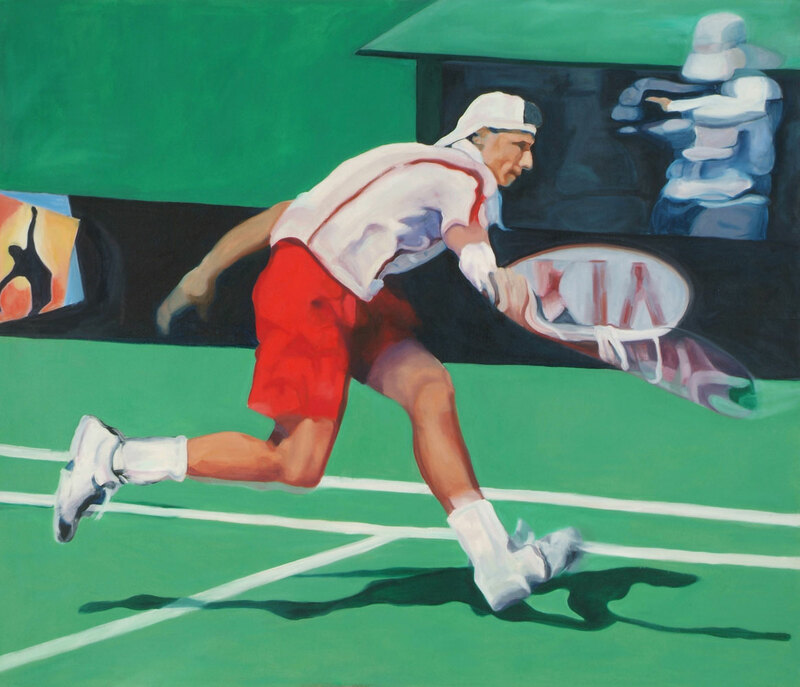 The resulting huge studies on expansive canvases once again capture the movement and power of impressive athletes in action, at a point of tension in the game.